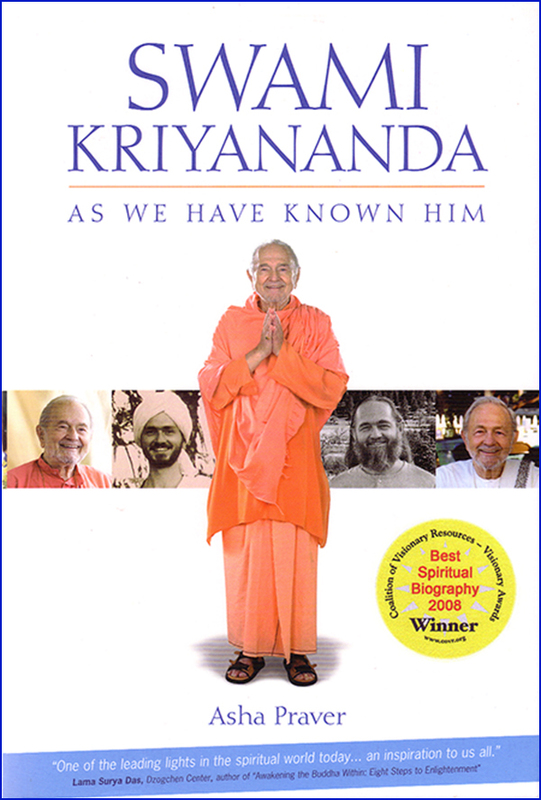 My husband and I were in charge of setting up a lecture for Swami Kriyananda in April 2002 at his alma mater, Brown University. Everything went wrong. People we relied on didn’t keep their promises. Promotions didn’t go out on time. Even the beautiful spring weather turned suddenly cold and drizzly. Swamiji had been hoping for a big crowd and I was embarrassed and nervous about letting him down. At breakfast the morning of the event, I warned him about what was to come, so he wouldn’t be disappointed. “Niskam karma,” Swamiji said calmly, quoting in Sanskrit from the Bhagavad Gita. He was reminding me to be detached, to perform “action without personal desire for the fruits of action.” Do your best; then leave the results to God. We were understaffed, and I had to work right up to the moment when Swamiji began to speak. The effort aggravated a physical condition I have, and I was in such pain I couldn’t sit up but had to lie down on a bench in the lobby. It didn’t help that my worst fears were realized. Only a handful of people came. “Niskam karma,” I repeated quietly to myself. Finally I felt well enough to sit up for the lecture. By the time we closed down the hall and joined Swamiji for a late dinner at a nearby restaurant, I was in such pain again I could barely move my arms. I’d had episodes like this before, and they lasted for days. Swamiji had saved a place for me right next to him. When I sat down, within 30 seconds all the pain was gone. Just like that. The lecture that night was based on Hope for a Better World!—The Small Communities Solution, the book that Swamiji had just published. In it he takes on, as he put it, the “Big Guns” of Western civilization: Plato, Machiavelli, Marx, Darwin, Freud, Sartre, and others. He shows the reader how not to be awed by “intellectual authority,” but to reason from one’s own experience. His hope (for a better world) was to do a series of lectures on college campuses and start a youth movement toward cooperative communities. Brown University was the trial balloon. Nishkam karma. Do your best, then leave the results to God.